A simple, delicious and vegetarian recipe that is loaded with flavor. Can be prepared in 15 minutes and serves 4. Thanks for submitting this recipe, Lynn Allison from Locale Market. 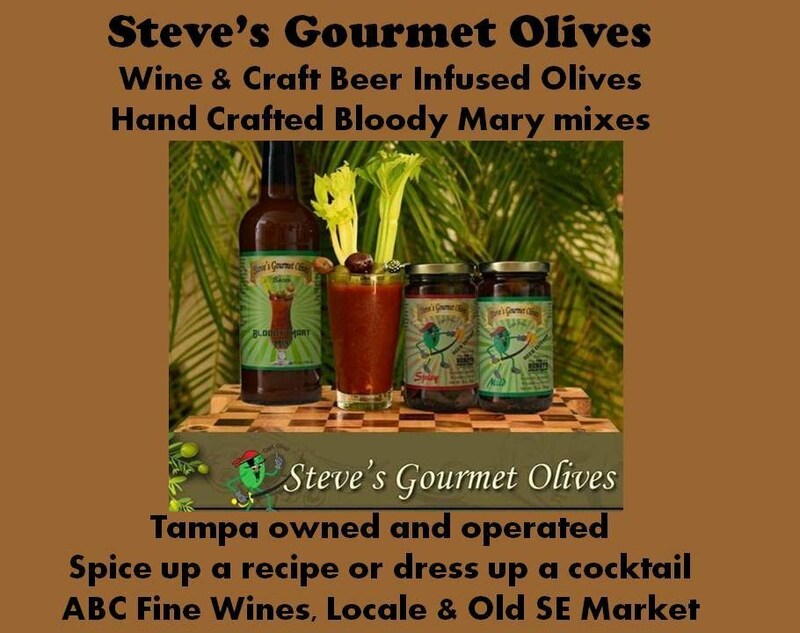 The following retailers carry Steve's Gourmet Olives in the greater Tampa Bay area. Have you been to Keel & Curley Winery lately? You know, the fun blueberry farm turned winery that sits off I-4 a few miles north of Tampa near Dinosaur World? Not only have they added a craft brewery, Two Henrys Brewing, but they have just added a food truck to the family and will be serving food now! Look for wine and beer-infused olives on the menu! Head Brewer Scott Shuler, at right. garlic, pepper, herbs & spices. Mark your calendar. We will have samples, recipes & tons of fun at these following events in March!